Hearing about Nia’s campaigning on behalf of owners of steel framed houses purchased from the Council under the right to buy, local County Councillor Keith Davies alerted her to the fact that homes in Ger y Gwendraeth, Kidwelly are of similar construction. 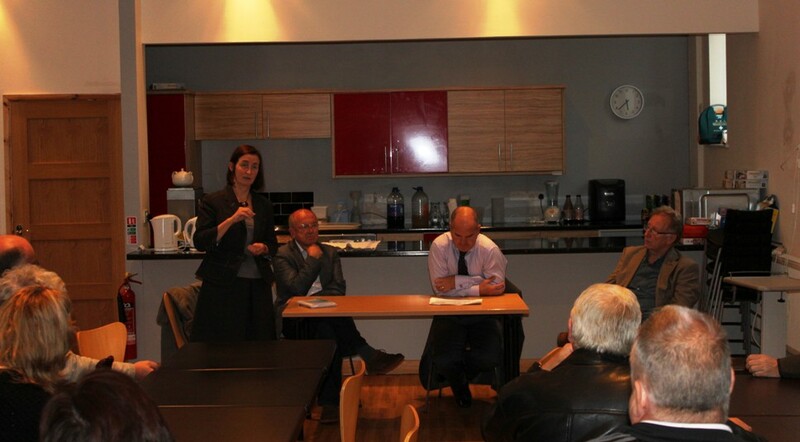 Together they organised a meeting for home owner residents with housing officer Jonathan Morgan. At the meeting they secured an undertaking from Mr Morgan that privately owned homes in Ger y Gwendraeth would be assessed in 2012 at the same time as the renewal programme for council owned homes in the same estate, and that some funding would be available as Kidwelly is in the Lower Gwendraeth renewal area. He also confirmed that when the work had been completed, a “certificate of adequacy” would be issued which would be accepted by the Council of Mortgage Lenders. Mr Morgan agreed to meet residents again in October.